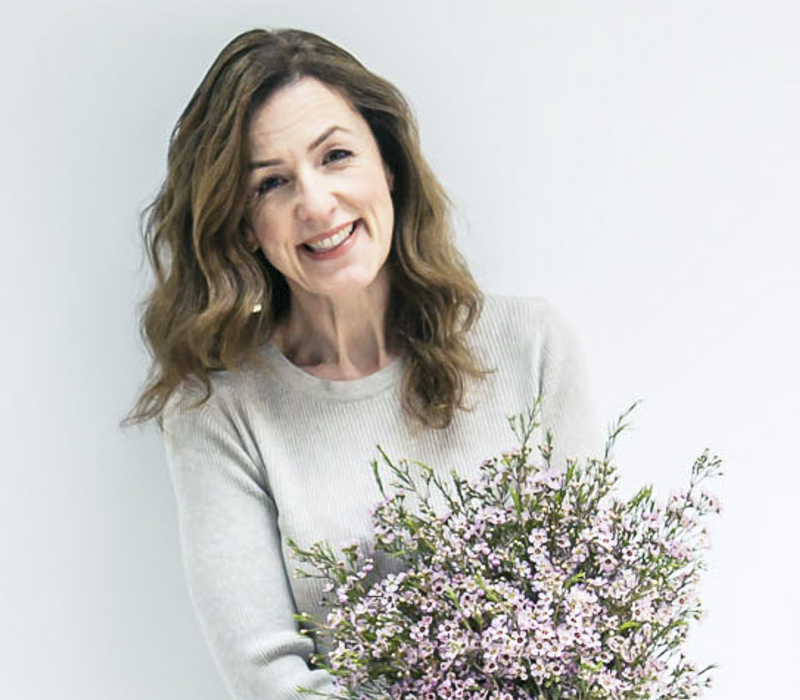 Earlier this month, you may remember that I wrote a blog post about the amazing floristry demonstration which Simon Lycett did at the Christmas Preview event at New Covent Garden Flower Market? Well, I mentioned that earlier that morning I’d met the charming man himself and I’m absolutely delighted to feature my interview with him today, together with images of his work. Rona: Could you tell us what prompted you to become a florist? Simon: I started floristry at the age of seven and was inspired by the local town flower show in Warwick, where I was born and brought up. I was also inspired by our neighbour, Norma, who used to teach City & Guilds and do wedding flowers for friends. I used to sit by her side and learn. I’ve had no formal training apart from her. Ever since then, it’s how I’ve always wanted to earn my living. 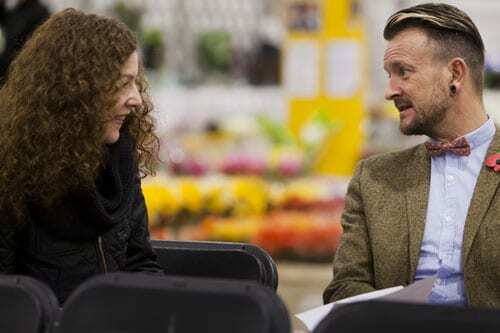 Rona : So, when did you start your floristry business? Simon : I started off doing flowers for film and television commercials. In 1993, I did the flowers for the film ‘Four Weddings and a Funeral’ which was released in 1994. 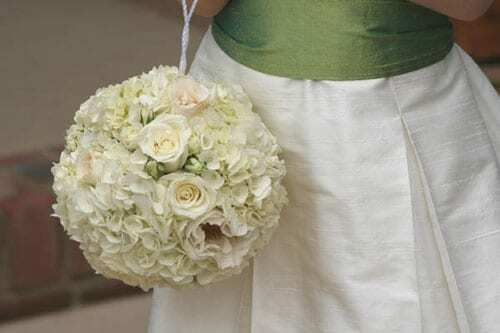 It generated great publicity and after it I was asked to do flowers for real people’s weddings and parties, and the odd funeral. It then just sort of snowballed. Rona : Where are you based? Simon : We’re based in Camberwell in London in a series of four railway arches. Rona : Could you tell us about your company? 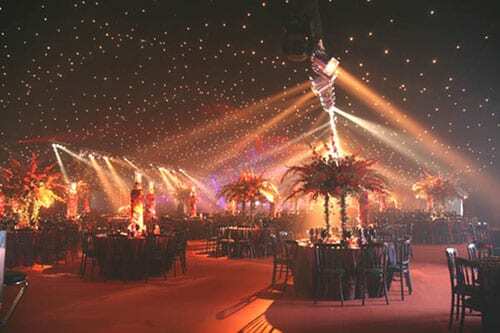 Simon : I’m really lucky to be surrounded by a fabulous team, including six people in the workroom, who work so hard to make sure that all our events and parties and dinners go well. They’re the ones who intuitively know what it is I’m after. I’m really lucky in that respect and it makes a lot of difference. Rona : Where do you get inspiration for your floral designs? Simon : I’m inspired by the changing seasons. When I’m using dahlias and amaryllis for an arrangement, I think about how it would look with peonies and sweet peas in the summer. You can reinvent yourself because of the fact that your raw materials change and the seasons change. It helps to keep you fresh. Rona : How would you describe your style? Simon : Lavish and generous. Rona : Where do you source your flowers and foliage from? Simon : New Covent Garden Flower Market and we try on the whole to be seasonal as well. I love to use British and seasonal foliage, and we’re so lucky to have Porters and GB Foliage at the market that are just spectacular. Rona : How many books have you written and are there any plans for a new one? Simon : I’ve written five books. There are couple on the go at the moment but it’s just finding the time. One day though, I’d love to write a florist’s handbook. Rona : Do you have a favourite flower? Simon : It depends on the time of year. I love lily of the valley, when it’s lily of the valley time. Those big English dahlias that we’ve been having from Withypitts have been gorgeous. Rona : Could you tell us about what you’ve been working on lately? Simon : We did the Rome International Film Festival at the end of October which was great. 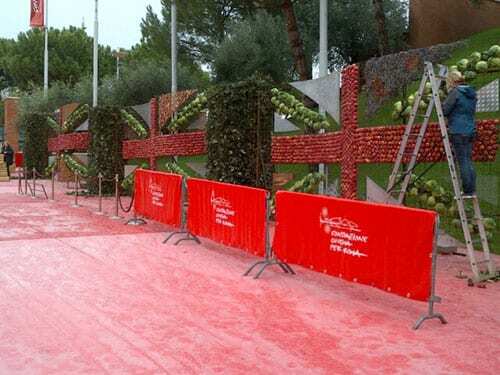 I was invited to do the installation for the backdrop for the red carpet, which had to survive outside for about ten days, so it was quite a challenge. They had the theme ‘Punks and Patriots’. We made three ten metre deconstructed union jack flags using rusty steel, 3,000 bright red apples forming the cross of St George in the middle of each one and then the diagonal blue stripe was done in green savoy cabbages. Also, the day before I flew out to Rome, we had a wedding for 550 people and last Sunday, we had a wedding for 280. We’ve got dinners virtually every night of the week for the Degas exhibition, plus lots of corporate work at the moment. Rona: What are your plans for the rest of 2011 and next year? Simon : We’ve got the Spirit of Christmas Fair this week. And then we’re busy with events, parties and dinners through until the New Year. Next year, we’ve got some lovely bookings including exciting projects and fabulous parties. Rona : What have been the highlights of your career? Simon : The film, ‘Four Weddings and a Funeral’. We were very lucky to do that. Also, the Beckham’s wedding, the wedding of the Prince of Wales and the Duchess of Cornwall, and the party which the Queen gave on the eve of the Duke and Duchess of Cambridge’s wedding, where there were fifty crowned heads of state present. Those sorts of things are great as they generate interest in the press. And it’s also fascinating to work in such amazing places. 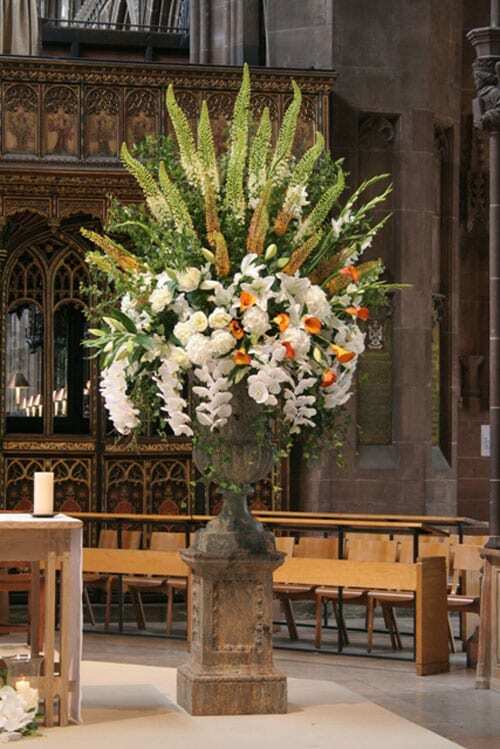 Rona : What advice would you give to anyone looking to improve their flower arranging skills? Simon : Practise, practise, practise and practise again. And throw that rule book out. As long as it works for what you’re doing, it doesn’t need to last. We’re very lucky that what we do is for a night. It doesn’t have to last for a week and if it did, we’d do it very differently. Thank you so much to Simon for his time. It was such a pleasure to meet him and I don’t think I’ve ever laughed so much that early in the morning! Thank you too to Miranda who works with him for all her help in putting this blog post together. 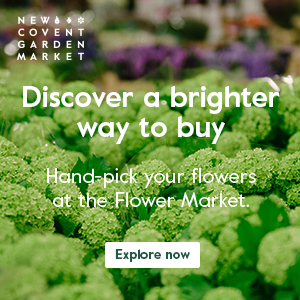 My thanks also go to the wonderful Helen Evans at New Covent Garden Flower Market, her colleague Kathryn Holden, and a big thank you to Liz Anderson for arranging the interview. Last but not least, many thanks to very talented photographer, Julian Winslow, for taking the photos of Simon and I. 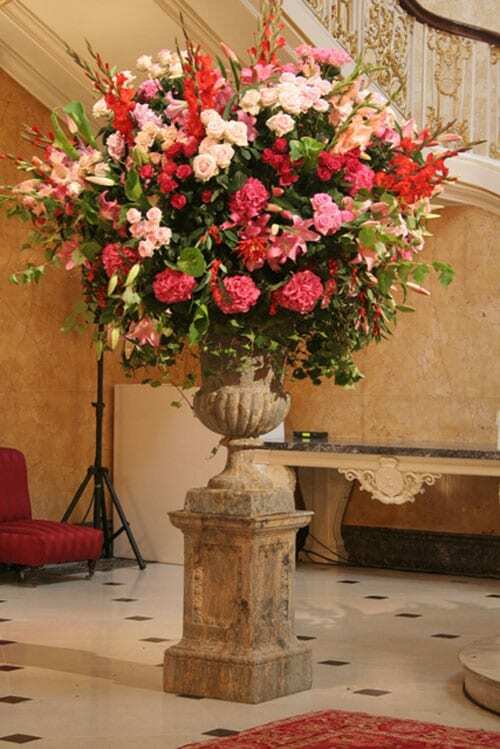 Really enjoyed the Blog today – your interviews with florists are a great series. I love hearing of your trips to Covent Garden Flower Market and seeing all those flowers – pure eye candy! – thanks! Thank you so much for your lovely comment Karen. I’m really pleased that you’re enjoying the interview series and images :-).